I can't imagine a better to way to ring in the new year than celebrating a wedding! And not just any wedding . . . this was Kate & Scott's classic, black tie, Downton Abbey-esque wedding with a bit of Scottish flair (bagpipes! the father-of-the-bride in his Scottish kilt! Kate's mother and sisters in tartan sashes!). 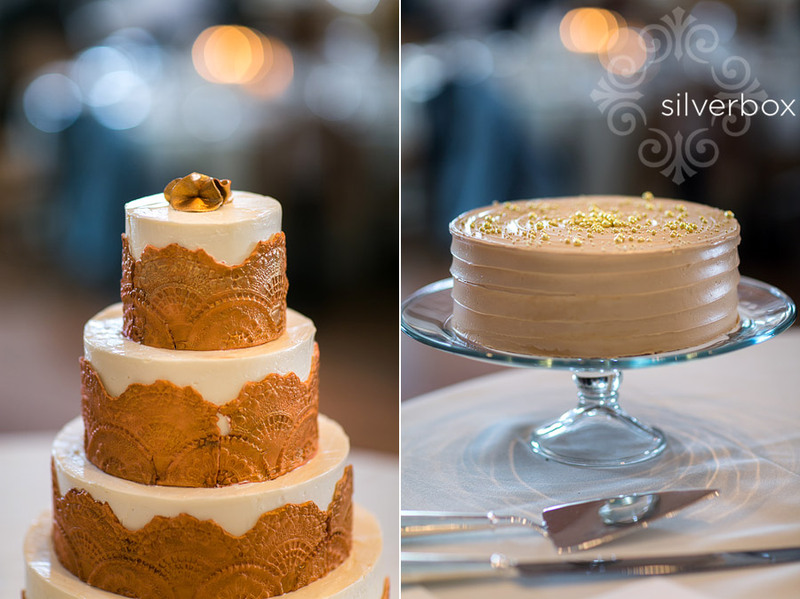 The loving care that went into planning this wedding was exceptional! Kate & Scott handpicked every detail, including vintage clocks to adorn the mantlepiece (all poised to strike midnight! ), black & white photos from Stephens College's archives on the wedding invitations, shimmery fabric for the photo booth. Guests were pampered all night long with hot chocolate and coffee stations, late night snacks, a cigar lounge, and a champagne fountain. And Scott may have won the groom-of-the-year award (and that's for both 2013 AND 2014)! He commissioned a painting by area artist, Jenny McGee, and presented it as a surprise to Kate just before cutting the cake. I think my favorite picture of the day is the look on Kate's face when she realizes what Scott is about to give her. Celebrating the new year with this newly wed couple is as fine as it gets. HAPPY HaPpY HAPPY Happy 2014, Kate and Scott. And a big THANK YOU, Kate and Scott, for letting your wedding be a Studio 107 team effort! All three businesses (SilverBox Photographers, AnnaBelle Events and Hoot Design Co) that work out of our 107 Orr Street studio space here in Columbia got to be part of planning Kate and Scott's wedding. 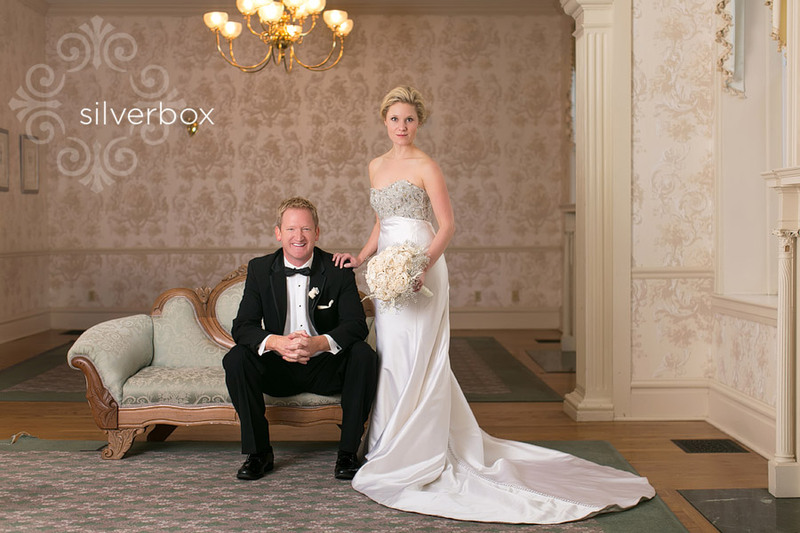 silverbox wedding couple abbie & justin featured on Offbeat Bride blog!